Minnesota is hit with hail storms and extreme winter weather every year. 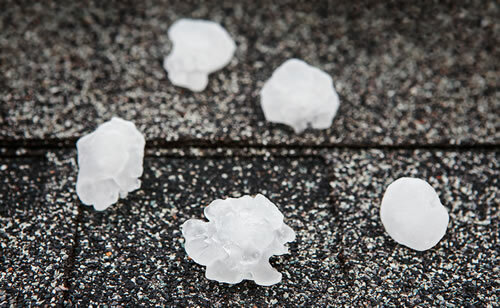 With a heavy hailstorm, damage to home exteriors is sure to follow and when weather causes large spread damage in a city, town, or county, you can count on dozens of “storm chasers” rolling into town ready to get to work repairing and/or replacing homeowners roofs. What’s a storm chaser? A storm chaser is a coined phrase that is used to describe not only people who willingly chase storms for thrills but also a group of scrupulous contractors who’s goal is to make fast money off of homeowners and their surrounding neighbors after severe weather has caused damage to their homes. These contractors watch and wait for severe weather to strike an area in Minnesota and when it does they quickly round up their crew (often inexperienced individuals) and travel to the affected region. 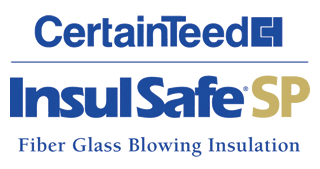 Their goal is to take advantage of unsuspecting homeowners who want nothing more than to get their roofing or siding repaired. Often they’ll use aggressive sales tactics (which can actually be pushy and scary) to convince a homeowner to hire them to make the repairs on their roof or home. Usually they promise to repair the damage by getting the homeowner to make a claim on their insurance so the repairs are covered without the homeowner going into their pockets. This can be appealing to a homeowner who’s just suffered severe damage to their home from wind, hail, or rain. 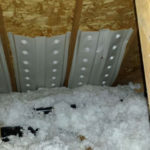 To further entice the homeowner into their clutches the storm chasing contractor will often offer to pay the deductible for the claim and in some cases, even offer cash back. If you’ve receive an offer like this from a contractor or their sales reps who’ve walked onto your property and knocked on your door, it’s a pretty good sign you should steer clear, as this article will explain. For a homeowner whose roof has been damaged in a storm the prospect of a new roof for little to no out-of-pocket cost can be very appealing. The problem is that these storm chasing contractors know exactly how the insurance companies process these claims. They know based on the “square” of your roof (how roofing is measured) how much material will be required and often they will use the cheapest (low quality) shingles they can acquire, often they promise a higher quality shingle than what is actually delivered. This type of contractor is only looking to do the bare minimum when they replace your roof because they have no incentive to do a good job. More often than not, a storm chasing contractor who gets your approval to repair or replace your roof will finish it very quickly, often too quick. Sometimes, they don’t even fix the roof at all, opting to just take the money and run, there are cases of this in Minnesota every single year. A rushed job on your roof means corners are cut, any underlying issues with the roof are not fixed or addressed, and in a few years time the homeowner is left with a roof that is failing once again, this time, with little to no recourse to get it repaired. If a roof has failed due to an improper installation the manufacturer of the shingles or roofing products used on your home will likely render your warranty null and void. Meaning you won’t get any help from them and you’re left holding the bag. Once a storm chaser has repaired or replaced your roof (and many of your neighbors too) they can skip town, never to be heard from again. Who do you call if you have a warranty issue? Many homeowners learn this lesson the hard way. How Do You Protect Yourself Against Storm Chasers? Firstly, it’s important to recognize some of their tell-tale traits. After a severe hail, wind, or rain storm, be ready for their arrival! They will knock at your door and often insist that your roof has been damaged without even having set foot on your roof. As a homeowner, you need to protect yourself and stand your ground. Do NOT provide them with any personal information. If you need your roof repaired you can find reputable local companies, with positive online reviews, licenses, insurance, and even certifications from the roofing shingle manufacturers. Thunderstruck Restorations is one such company. We’ve repaired dozens and dozens of roofs for homeowners who hired a storm chaser only to experience problems further down the road. Do you want to hire a contractor because they are nice and make promises they can’t keep? 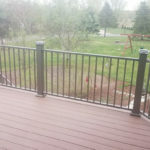 Or do you want to protect your investment in your home and hire a contractor with a proven local track record who will be around to stand behind their work if there is ever a problem? Most smart homeowners would choose the latter and enjoy the peace-of-mind. If a contractor shows up on your doorstep after a storm has rolled through how do you know you can trust them? How do you know if you should hire them? Here are a few questions you can ask any contractor who you’re considering hiring to repair or replace your storm damaged roof. A few simple questions could easily save you thousands of dollars, it’s not just the money though, it’s the time, stress, and hassle it will save you too. Are they licensed and insured to work on your home? Are they local to your area? Do they have a local phone number? Will the work they complete come with a warranty on their workmanship? What type of shingles will they be installing? Is it a quality brand or one you don’t recognize? If the company doesn’t have a local presence, no website, no reviews, and no references for you to contact, this is a sure sign you probably shouldn’t be hiring them. You may even find they have plenty of bad reviews and a few minutes of your time just saved you months of headache and potentially thousands of dollars. It’s not uncommon for storm chasing contractors to use high-pressure, borderline aggressive sales tactics to try and coax you into signing an agreement with them. That is the last thing you want to do! If you change your mind and decide to go with a reputable roofing company instead, you’re sure to be hounded by their salespeople, sometimes they’ll even make legal threats which is a stress that you don’t need. The first step with any damage claim after a storm is to contact your insurance company. Your insurance company will send an adjuster to your home to validate that damage has occurred and they will let you know what will be covered by your policy. After they’ve validated your claim, it’s a good idea to get a second opinion on your roof from a reputable, local contractor. Insurance adjusters aren’t professional roofers and it’s not uncommon for them to miss important things that an experienced contractor will catch. Has Your Roof Been Damaged In A Recent Storm? Minnesota can get some truly horrible weather. 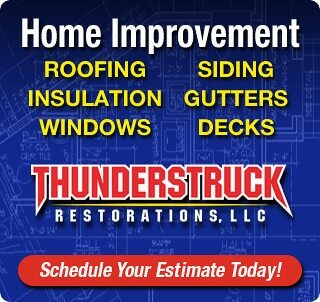 If you’ve discovered a leak or another problem with your roofing after a storm and need roof repair or roof replacement, give Thunderstruck Restorations LLC a call. We’re a local family owned roofing company you already know and trust. We are certified installers for some of the leading roofing products and we are very knowledgeable on their product lines and the recommended installation practices. In many cases our roof replacements exceed the manufacturers certifications. 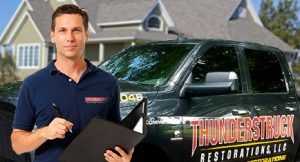 Contact Thunderstruck Restorations at (612) 806-7048 or use our online contact form to schedule a free roofing inspection or to get your roofing or storm damage questions answered. We are licensed, insured, and factory certified installers of both Atlas Roofing Shingles and CertainTeed Roofing Shingles. We can offer up to a 50 year warranty on your roof.